Editor’s note: This is the last installment of a weekly 13-part series. 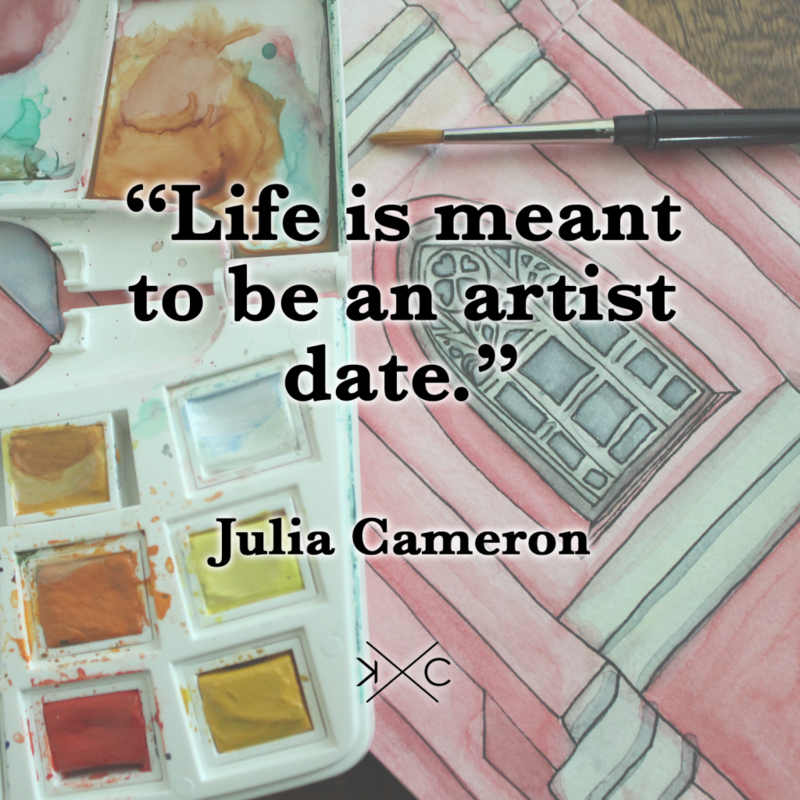 If you would like to take this journey yourself, we suggest getting hold of Julia Cameron’s The Artist’s Way: A Spiritual Path to Higher Creativity or checking out Cameron’s online video course. Best of luck! Part of me expected that some strange magic would come of The Artist’s Way – a creative breakthrough, a major epiphany, a finished work – but I realized that the course is only meant to lay a foundation. It’s up to us, as readers, from this point forward to execute the design of our creative lives. This was difficult for me to conceptualize as the final weeks closed in. I didn’t feel productive with regard to the course. I didn’t have one tangible thing to show for my time spent. Gone were the days when the emotional exhaustion of tapping into the thoughts and feelings of my child artist left me damp with shed tears and sore from picking at old scabs. The sort of catharsis that says, “I’m alive. I’m here. I’m awake, now.” Then I realized that the productivity comes afterward. This part, the course part, this is the process. That is what The Artist’s Way does – it reminds the reader that creative flow resides in all of us. Some have dammed it up or poisoned the waters, but the job of the course is to break the dam and purify the stream. Once you tap into that renewed flow, you realize that all of life is meant to be lived this way: as one twisty-turny artist date. For many of us, a creative breakthrough may just be on the horizon. Be patient. Allow time for your ideas to gestate fully. Don’t listen to seductive voices that try to steer you away from the path that you are on. Remember that each person’s experience with The Artist’s Way is unique and deeply personal, and shouldn’t be judged or criticized. Just do you. 1. This isn’t simply a book. It’s a course. Commit to the process, even if it takes you longer than 12 weeks to do it. Don’t rush. Do the morning pages, artist dates, and tasks at the end of each chapter. They really are the key components of the book. 2. Although there are moments of sheer joy, this process has a lot of ups and downs. Go with the flow and don’t let go. 3. Keep your cards close to your chest. This process is intensely personal and many people in your life may not understand the internal changes that you’re experiencing. Some will actually be what I call “self-doubt triggers.” Set boundaries early on and keep your eye on the prize. It will help. If you’ve forgotten how to allow yourself the freedom to explore and play, then I highly recommend The Artist’s Way. Regardless of where you are in life, remember that we are – each one of us – intended to create.